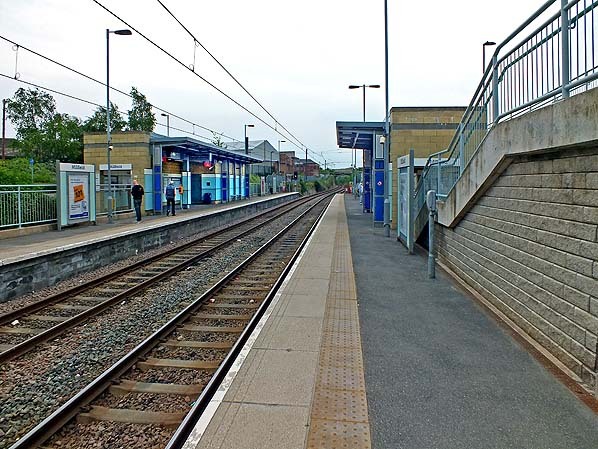 Notes: After an interval of nearly fifty years Millfield returned to the railway map with a two platform station on the Sunderland – South Hylton line on 31 March 2002. 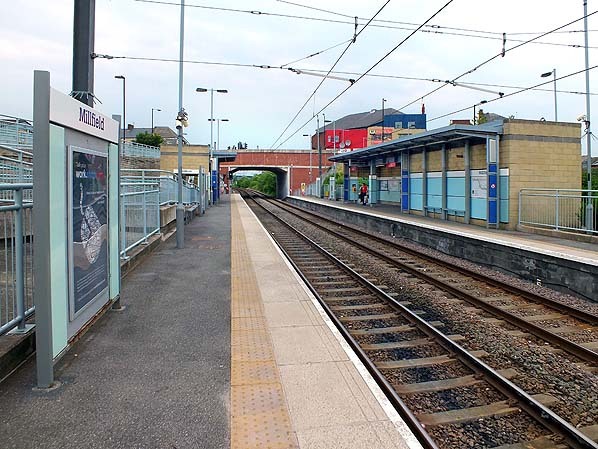 On each platform there are buildings in breezeblock with flat awnings, the larger of the two being on the Sunderland-bound platform, and there is step and ramp access. The Metro station seen here in June 2013 occupies the site of the first Millfield station which closed to passengers in 1890. The signage at the new station has, perhaps tactfully, used white rather than ‘Newcastle Cadmium Yellow’, but the Calvert font continues to be employed. The substantial brick structure of the old Millfield Cinema still dominates the skyline. Millfield second station was located beyond the road bridge. Looking south-west from Millfield Metro station in June 2013. 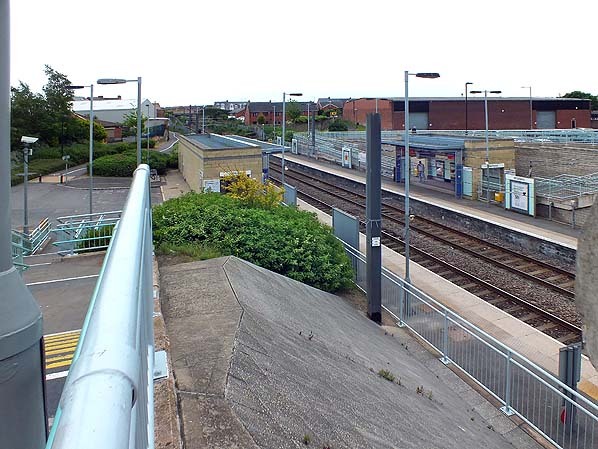 Looking south-east towards Sunderland across Millfield Metro station in June 2013. The building of the first Millfield station, which survived until the works to construct the Metro line, was in the foreground. 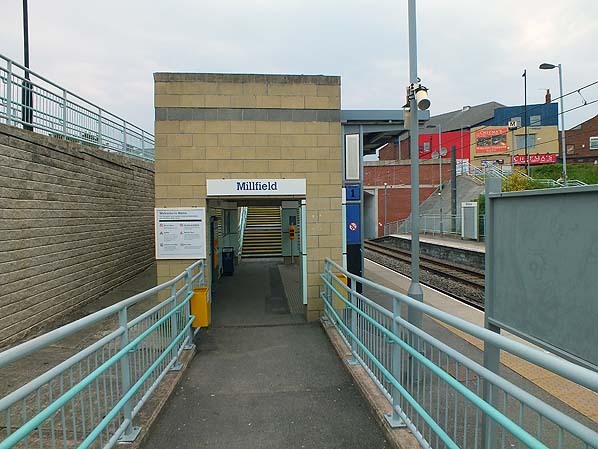 The ramp access and entrance to the westbound platform of Millfield Metro station are seen in June 2013. This station occupies the site of the original Millfield station, closed to passengers in 1890. In June 2013. The first Millfield station occupied this site, whilst the second was behind the camera.